“Poveri Noi” is Italian for “Poor Us”. 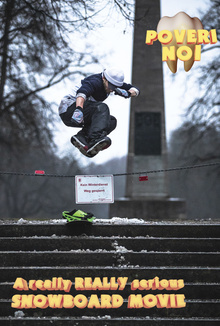 Plain and simple our movie has no hidden message and gives no deeper meaning to why we snowboard it is just 50 minutes of urban and backcountry snowboarding mashed together with some good times by a crew of international brothers. Let’s be real, we are all just dancing on planks of wood but hotdiggedy it’s fun! “poor us.... POVERI NOI!” Film of the Year Award & Best Cinematography - iF3 2018. Winner Snowboard Pro - Snowvision Film Festival 2018. Official Selections 2018: Adrenalin Film Festival, Highfive Festival.